but can be fun for school children and home stagers as well. Your home isn’t a mass-produced one, so why decorate with “art” that’s been produced by an assembly line on the other side of the world? Instead, you can easily decorate and stage with pictures that are unique. Make the art in your home as special as your home. 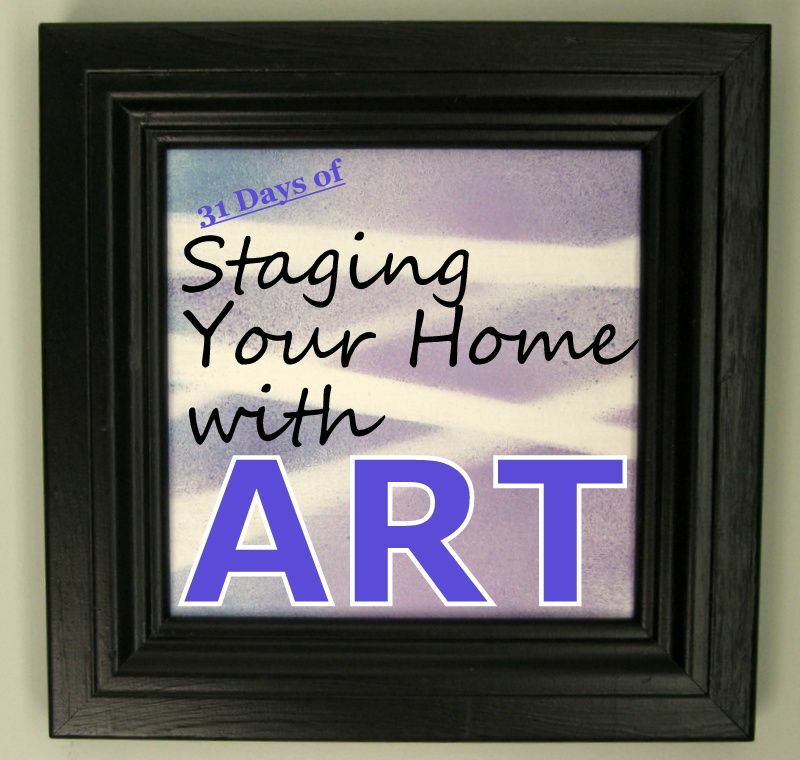 And if you think your home isn’t special enough, well, the art you use can help make it so. One of the easiest ways to create one-of-a-kind works of art is pasting up a group of images from a variety of sources -- or even one source. The result is called a collage. It’s one of the more fun DIY art media we’ll explore in this series. Start with a firm backing such as wood, fiberboard, stretched canvas or foam core. I like to use foam core cut to the size of a frame I already have. 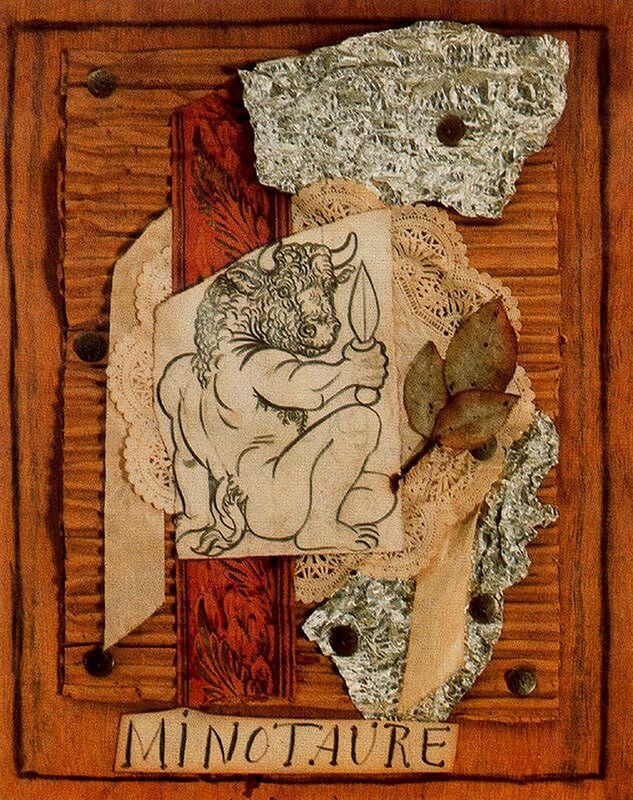 and buttons in his Minotaure collage. Choose a color scheme before you begin. Pick colors that compliment the colors of the room where you will hang your work. 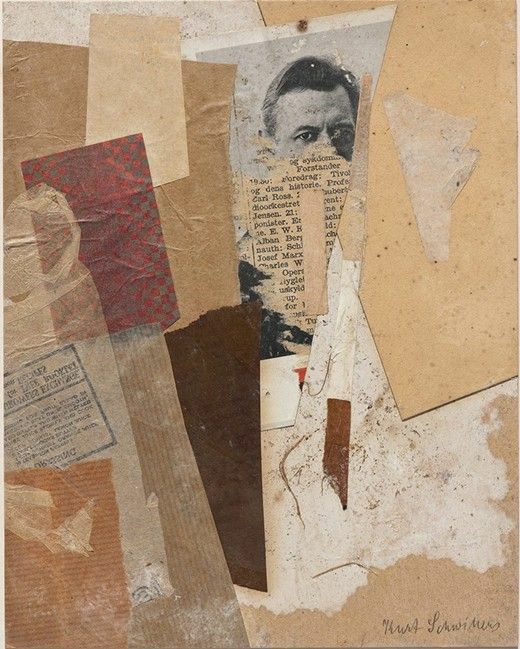 You can have a subject in mind or not when you create a collage. Collect a group of images and papers. Use fabric, construction paper, copy paper, paper bags, magazine cut-outs, plastic, foil, labels, and photographs. Next, build a background of color. On top of this base of construction paper or scrapbook sheets, add the larger images you have, either torn or cut. Use school glue or a glue stick to paste them down. I like to use rubber cement, and some people prefer Mod Podge. An artist I know swears by UHU glue sticks. 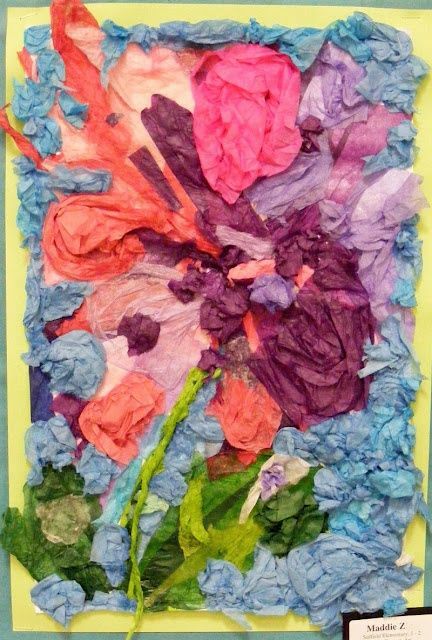 lovely tissue paper collage using starch instead of glue. Use sharp scissors if your images are detailed. 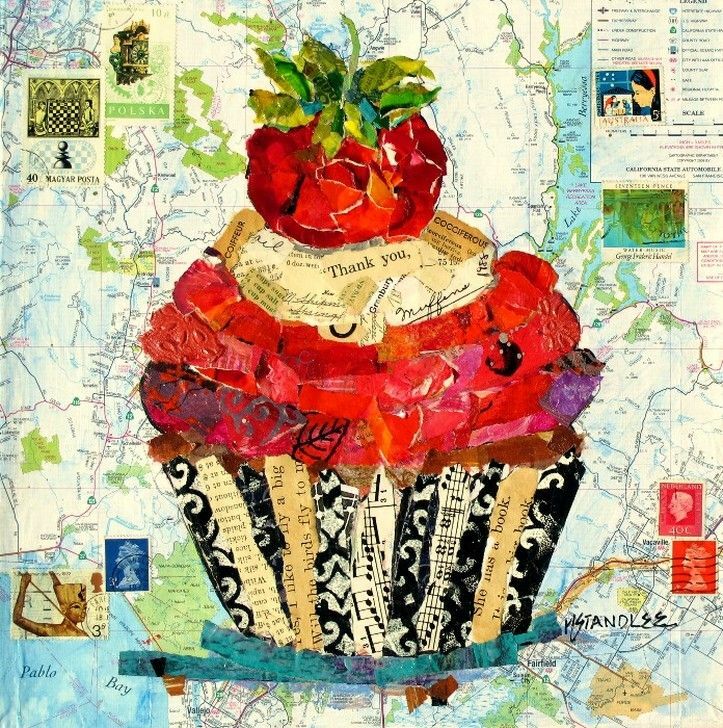 Begin adding smaller images, like stamps, cut outs from catalogs, post cards, and washi tape. It doesn’t matter if they wrinkle and overlap. Random juxtaposition is part of the beauty of collage work. Feel free to top it off with 3-D and textural add-ons like yarn, ribbons, beads, rick rack, buttons, pebbles, seeds, sticks, raffia, or coins. You are bound to think of other items you have around the house. 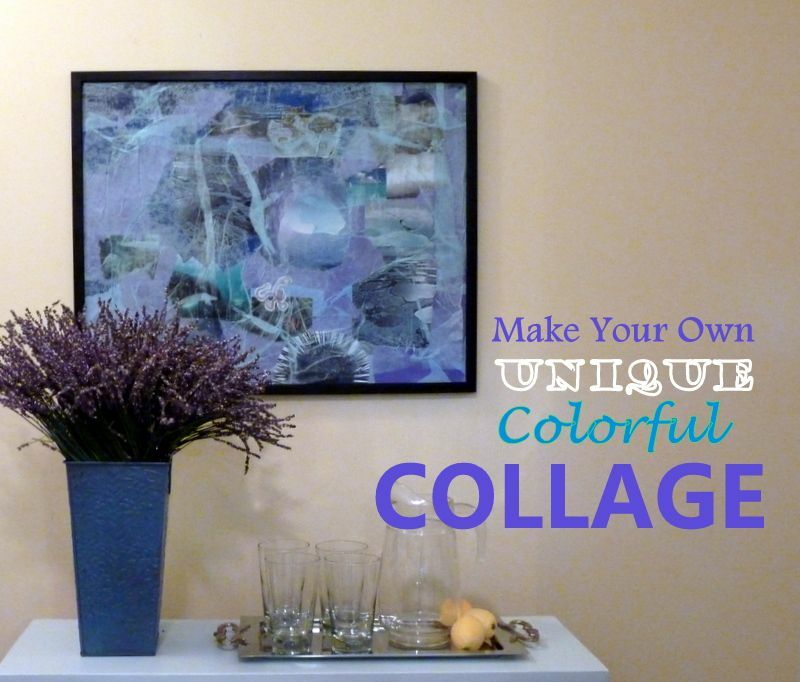 A collage doesn’t require glass over it, so add-ons can raise the surface if you like. You can draw lines on the finished collage to give your design more coherence, or to outline favorite images. To accomplish an overall blurry look that ties everything together, I use tissue paper as a wrinkly top layer, brushing it with a 50/50 solution of school glue and water. 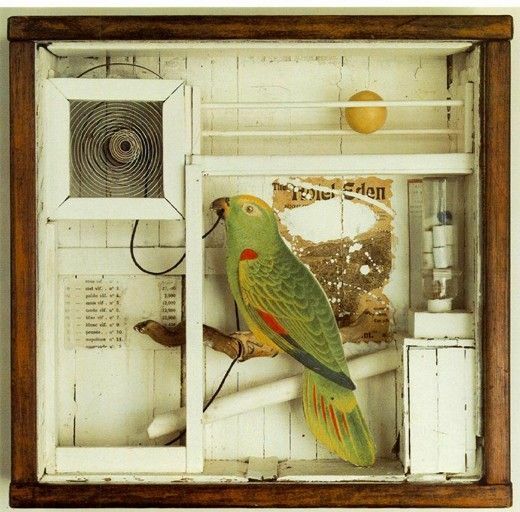 Joseph Cornell, and others showcase abstractions or designs. is quite simple in both arrangement and materials used. Don’t make your composition so detailed that people touring your home will stop in their tracks. It’s just wall décor. But it’s wall décor that will make your house unique. Happy staging and happy collage-ing.